Leaders from the Party, State, Government, National Assembly and the Vietnam Fatherland Front Central Committee (VFFCC) on July 27 commemorated fallen heroes and combatants to mark the 63rd War Invalids and Martyrs Day. They included Party General Secretary Nong Duc Manh, State President Nguyen Minh Triet, Prime Minister Nguyen Tan Dung, NA Chairman Nguyen Phu Trong and VFFCC President Huynh Dam, who all laid wreaths and offered incense at the monument dedicated to fallen heroes and martyrs in Hanoi . 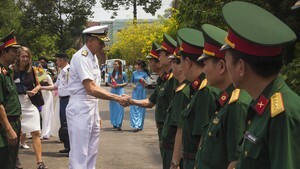 They also paid tribute to late President Ho Chi Minh at his mausoleum. The same day, an exhibition of more than 100 paintings featuring heroic Vietnamese mothers opened Hanoi in the presence of State President Nguyen Minh Triet. The paintings were selected from a total of 226 portraits by female painter Dang Ai Viet during her journey through 18 cities and provinces from February 19 to June 26. As a painter and a former soldier, Ai Viet thoroughly understands the losses and pain caused by the wars, and she treasures the great sacrifices made by Vietnamese mothers. Ai Viet regards her trip as her way of showing her gratitude and a way of repaying Vietnam ’s heroic mothers. “The life of each mother is a long story that tells us and our descendants about the losses and sacrifices they made for the future,” said the painter. 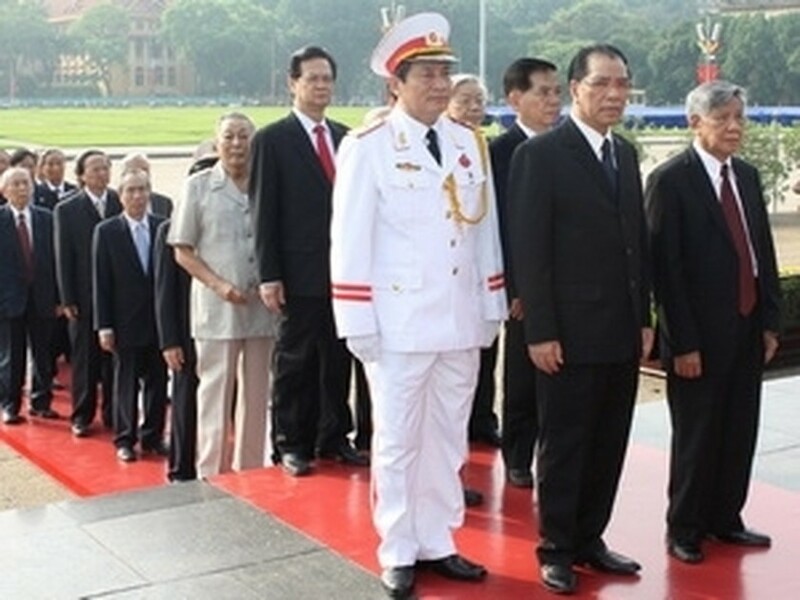 President Nguyen Minh Triet hailed the exhibition as a special and significant way of marking War Invalids and Martyrs Day. The State leader also praised Ai Viet for her good deed. “When I looked at the faces of the mothers, I felt their pain – the pain of wives who lost their husbands, of mothers who lost their children and of the sincerity of ordinary but extremely strong Vietnamese women. Their greatness is in their patriotism, their desire for national independence and freedom and their willingness to sacrifice themselves as well as their families to win the country’s independence,” said President Triet. According to the Ministry of Labor, War Invalids and Social Affairs, Vietnam recognizes almost 50,000 heroic Vietnamese mothers who devoted themselves to the nation during the wars of resistance against French and US aggressors and around 5,000 of them are still alive.